Terpenes or terpenoids are volatile organic compounds that are found in every plant and are very prevalent in cannabis. Terpenes are what make each cannabis strain its unique smell and taste. Terpenes work synergistically with cannabinoids and contribute to the medical benefits of the cannabis plant. Everyone knows that different strains produced results effects and this is in part due to different terpene profiles. For example, even if 2 strains have the same cannabinoid content (THC, CBD, etc. ), they often have different medical benefits and overall effects. Where to buy cannabis terpenes? If you are looking for terpenes for sale, we recommend buy-terpenes.com. 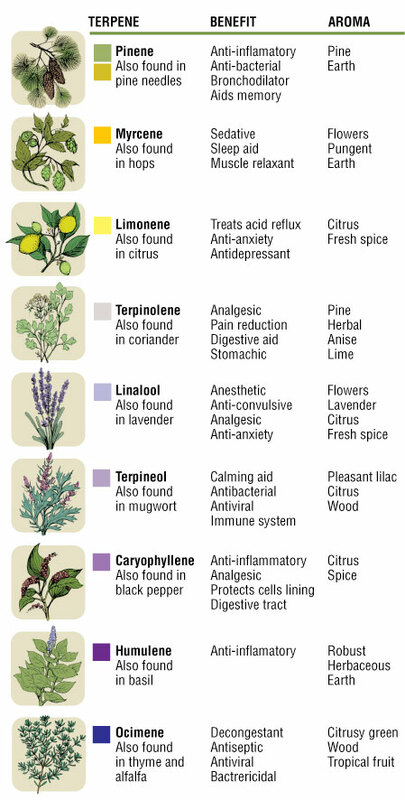 Want to learn more about Terpenes?